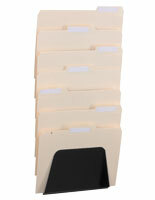 These 7-tier cubicle file holders will help organize any desk by holding folders, memos and other articles. 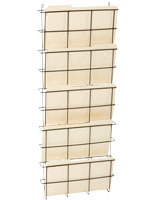 Each of the wall racks is made of durable steel with a neutral white finish for matching any décor. 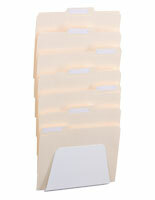 The cubicle file holders have seven pockets in a thin profile that makes more room in hallways and small spaces. 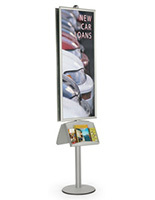 The steel desk displays have a painless setup because they are full assembled and only need to be placed on a partion or door. 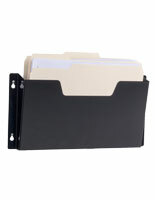 The 7-pocket file holders can accommodate letter or legal sized materials. 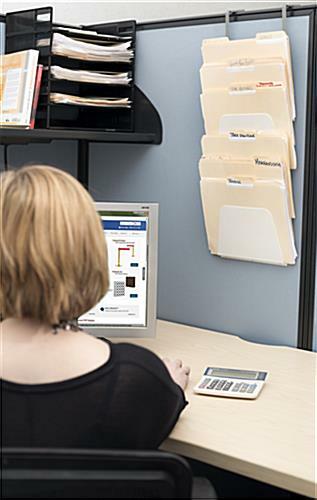 Buy a wall rack to help organize any work area. 9.5" x 3.9" x 1.5"